As I approach my 12th Wyndham anniversary I look back on all of the memories I can thank Wyndham for. In February 2004, I bought my first 6,000 Credits when my eldest children were just one and three years of age. Since then, my husband and I have become Privileges Platinum members and our family has grown to four children, ranging in ages from 15 to one year of age. Being a member of Wyndham has not only benefited us, but, as a homestay family, it has also been a great way for our international students to experience Australia. 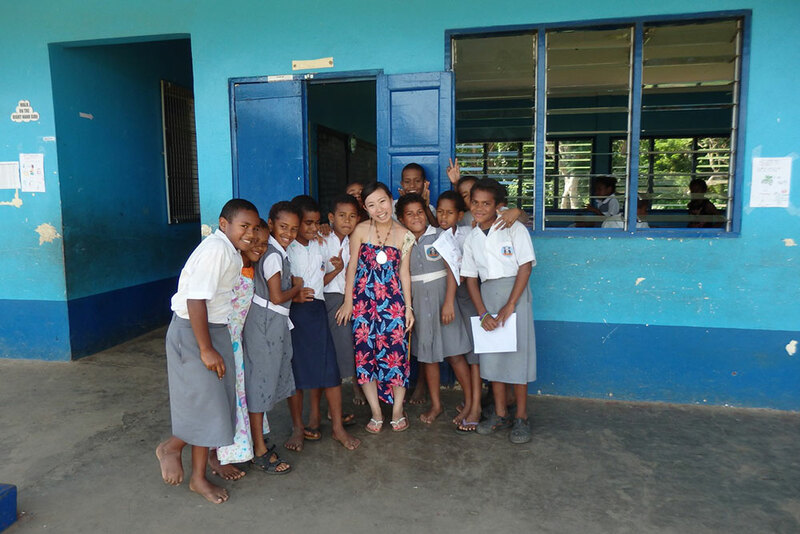 One of our Japanese students even came with us to Fiji! 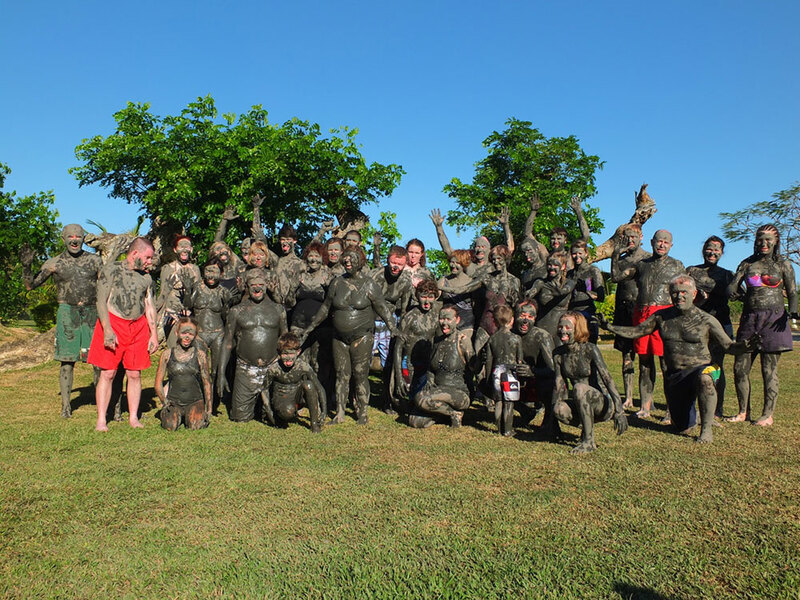 Covered in mud at the Fiji mud pools! We have been to many Wyndham resorts over the years, but our favourite resort is Wyndham Kirra Beach (Gold Coast, QLD) as it is only a three and a half hour drive from home. Over the past 12 years, we have had around 35 bookings. For us, it has become another home 🙂 Even though we have the beach at home in Coffs Harbour, there’s nothing like a break away from home. 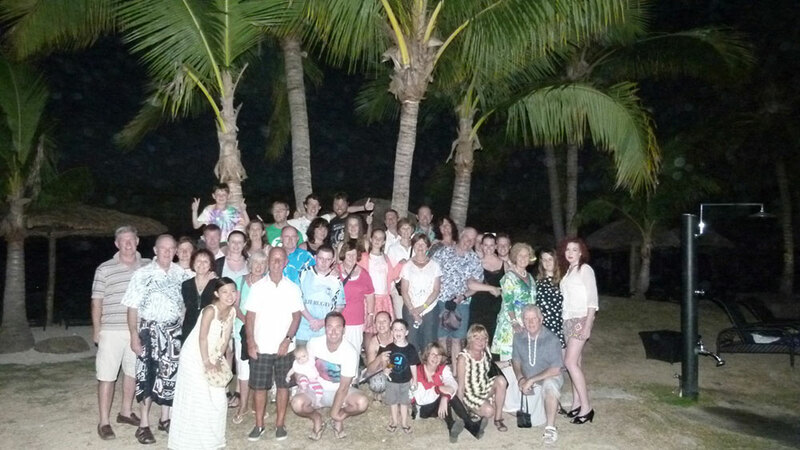 We have been able to share our holidays with many family members and friends but I think our most memorable was the surprise 70th we organised for my Dad in Fiji in July 2014, where 40 family and friends enjoyed a fantastic week together at Wyndham Resort Denarau Island. 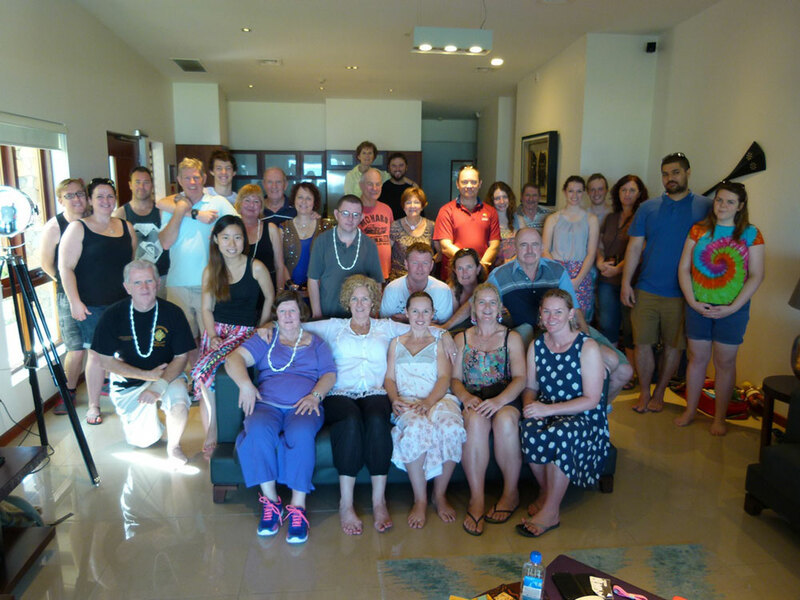 The amazing 3 bedroom Presidential apartment at Wyndham Resort Denarau Island in Fiji; a lot of us making plans for the week ahead. The planning started around January 2013 where it was just an idea to send Dad there for his 70th birthday with my mum, handicapped brother and 3 other family members. Then we thought we would go as well and surprise him, along with my other brother and his wife and 2 kids. 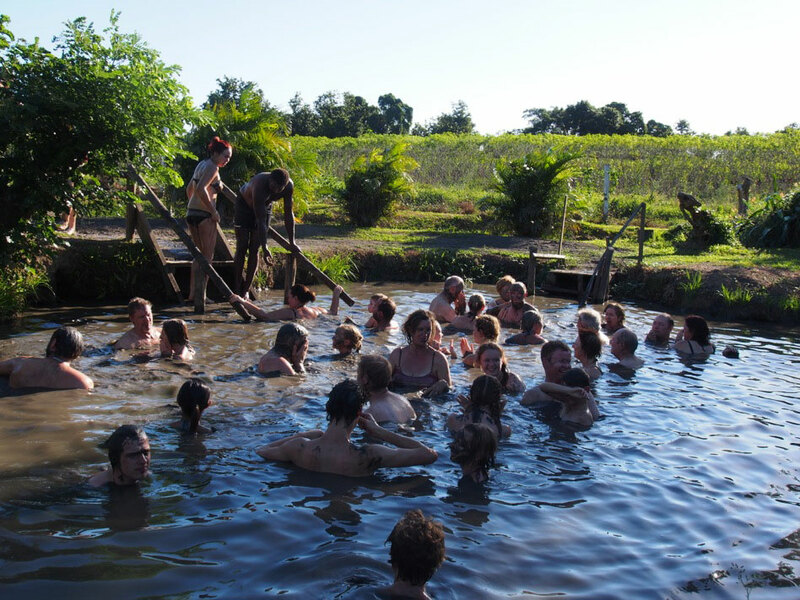 This idea grew to include aunts, uncles, cousins and friends, to a party of 40 who all saw it as a great opportunity to go to a great location and catch up with family and friends we don’t see often enough. After 18 months of planning (and keeping secrets from my dad as well, as the birth of our beautiful little Kalani!) the day of the surprise arrived. My parents were leaving from Sydney airport as part of the 21 people flying from Sydney. Up until they were ready to board the plane my dad thought he was only going with 6 people, when 15 family members surprised him! He was speechless and said he couldn’t wait to get home and tell me about when he returned the following week. What he didn’t know was that we (19 of us including our 4 month old baby) were at Brisbane airport waiting to board our plane. 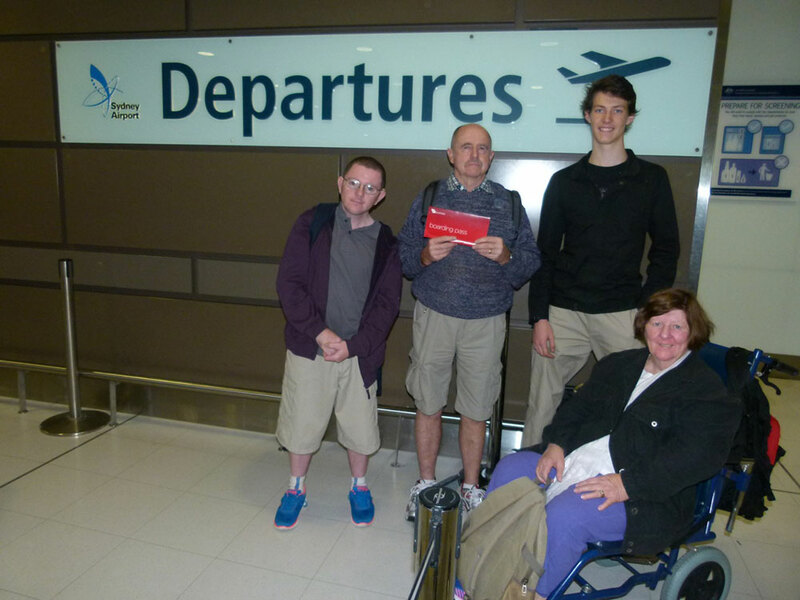 Dad at the airport with my mum, brother and cousin. He has no idea about the surprise ahead. Mum was so excited and found it so hard to keep the secret for so long. 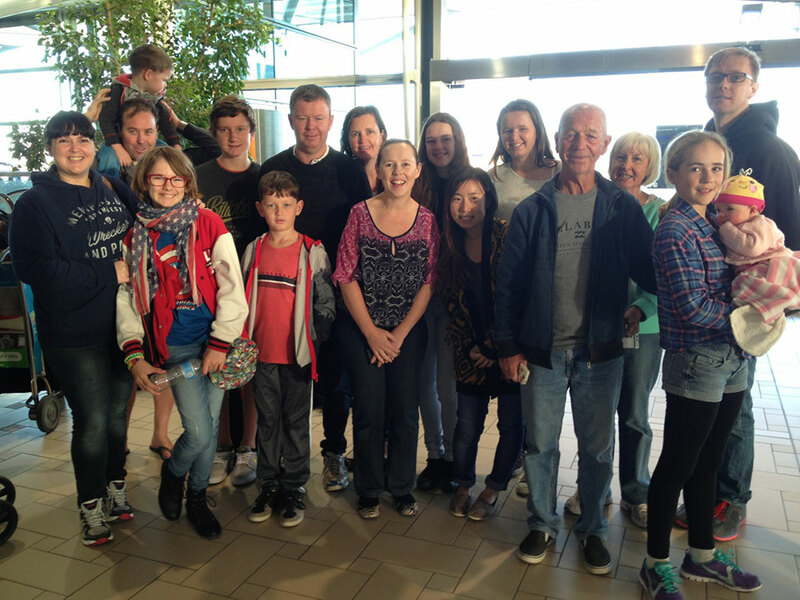 Ready to depart from Brisbane airport – and Dad is thinking we’re still in Coffs Harbour! 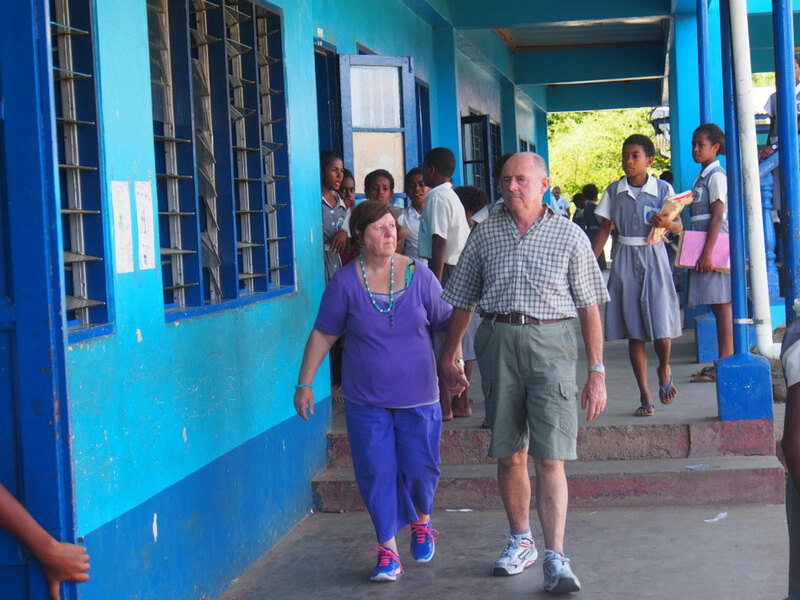 About 5 hours later at Nadi airport, Dad was thinking they were waiting for their transfers to Denarau Island – then we arrived. For the first time I can recall – my Dad was speechless!!!!! He was not expecting to see the rest of his children and grandchildren in the airport with him. He was overwhelmed and emotional and it made all the planning and organising worthwhile. Our first 2 nights were in the new 3-Bedroom Presidential apartment – what an amazing room! Was a great location for us all to get together to arrange the plans for the coming week. 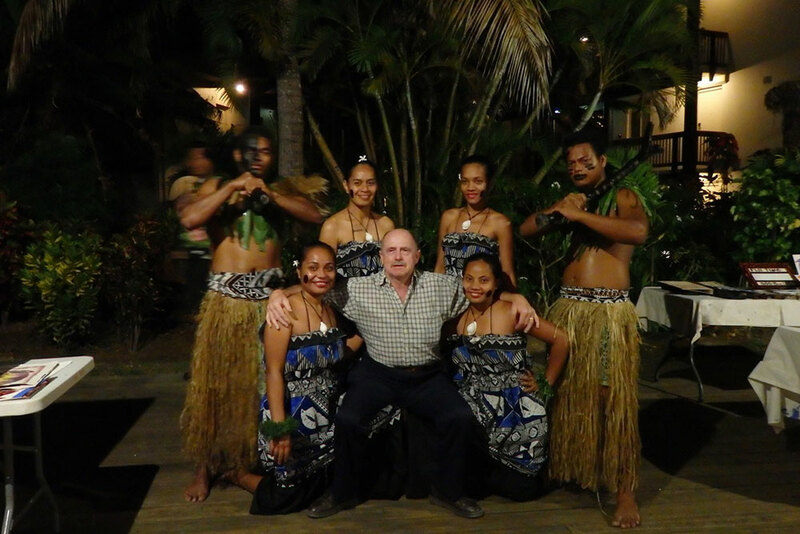 Birthday dinner at Mamacita, the Mexican restaurant at Wyndham Resort Denarau Island – dinner was lovely and the Fijian dancers were great with some of us joining in. 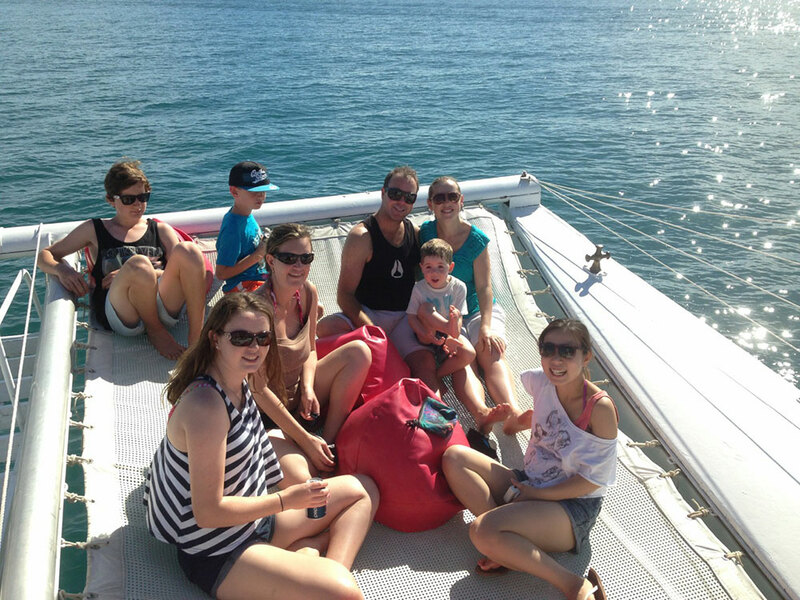 Most of us went on a day cruise with snorkelling, then lunch and relaxing on a small island – as there was so many of us we were the only guests on the boat which was great. The staff on the boat and at the island were awesome. 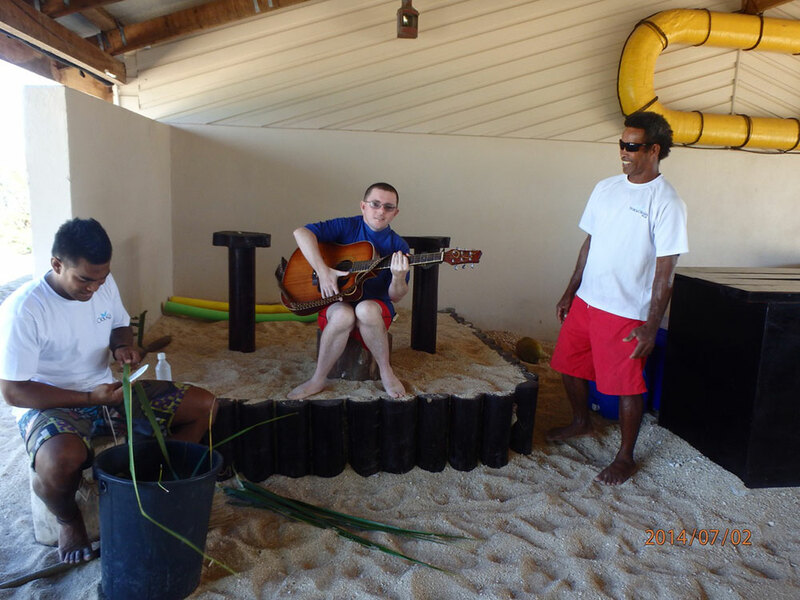 They helped my handicapped brother get in the water for snorkelling, sung songs and played guitar with him and even let him steer the boat! It was a great day filled with fun and laughter. 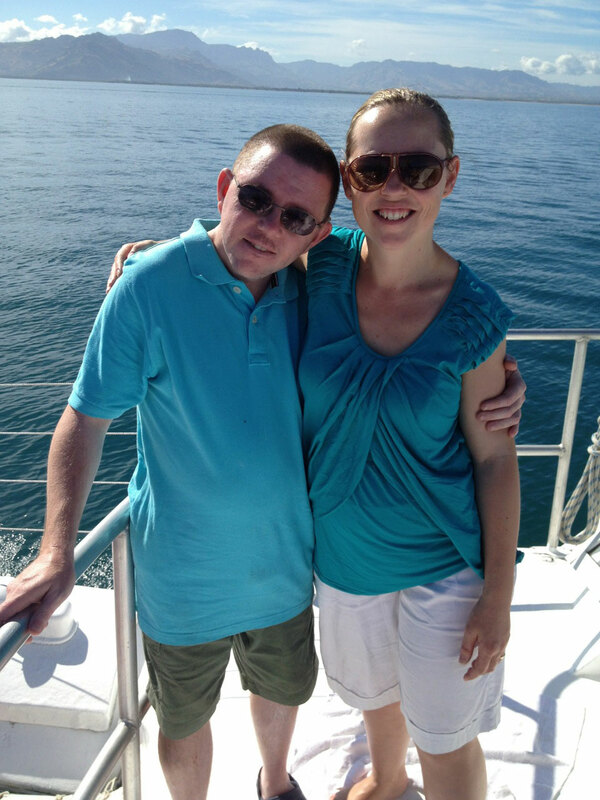 My handicapped brother Brendan and I, catching up on the cruise. 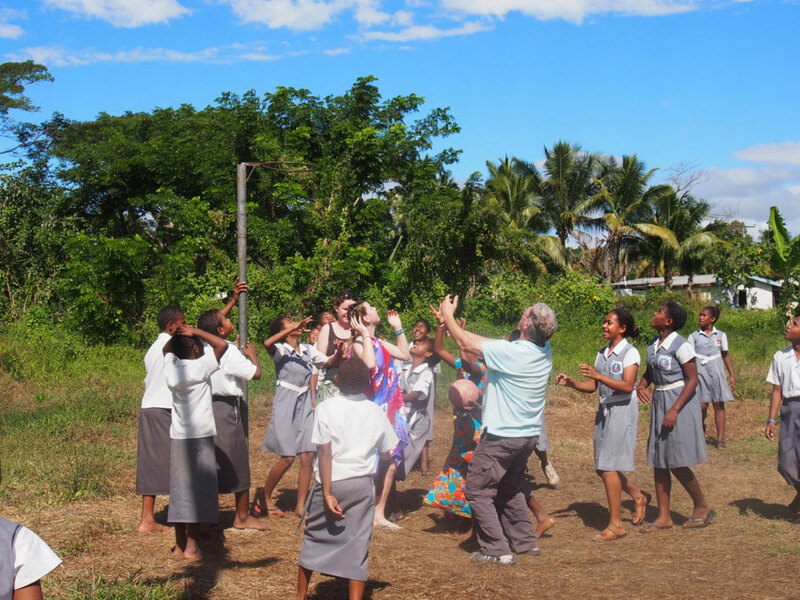 A day trip to a Fijian village, Kava ceremonies, visiting a local school and playing netball with the students (which inspired one of the girls to donate netball equipment to the school), picnic lunch at the Garden of the Sleeping Giant and finished off at the mud pools – was a great day for all. 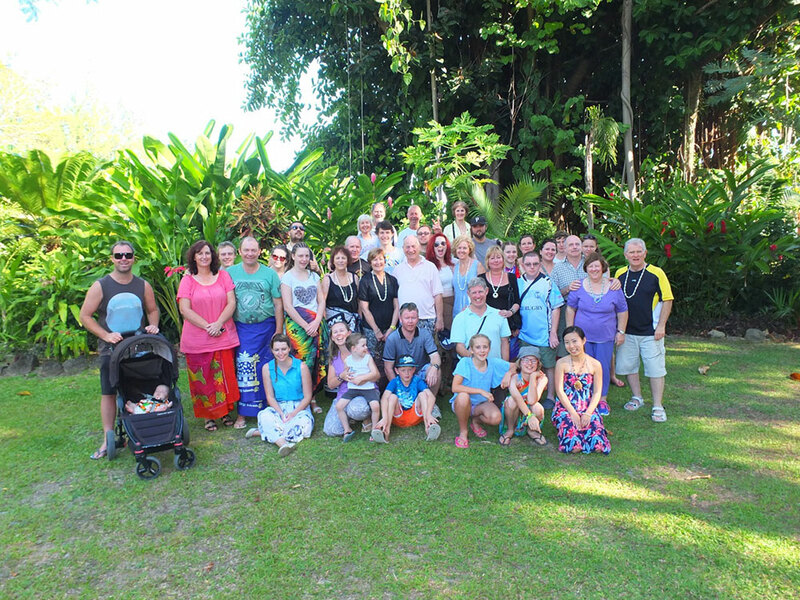 I love the group photo where most of us were covered in mud! Covered in mud at the mud pools! Beach volleyball games, ball games in the pool, tennis at the golf club down the road – everyone having a great time together. Relaxing by the pool and spa, cocktails from the pool bar while catching up with family and friends – you just can’t beat that. So much better than a dinner out to catch up every few years! 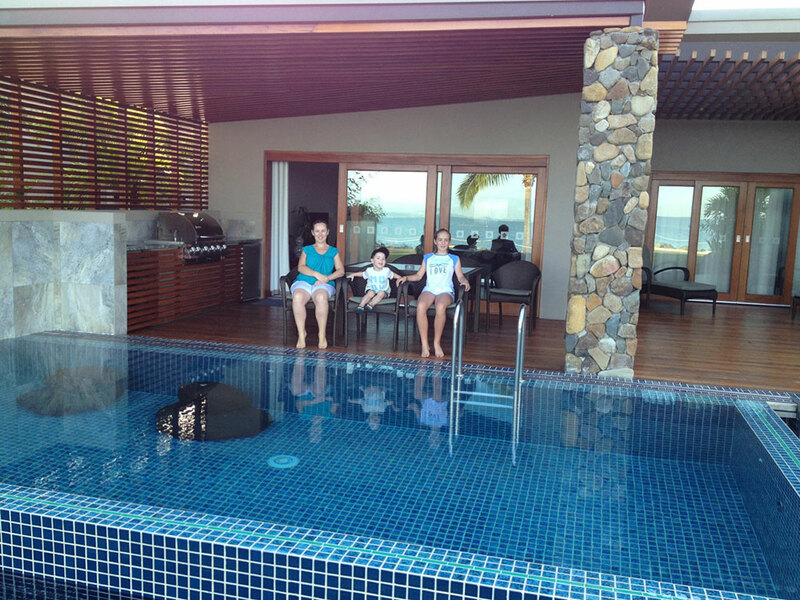 Some of us relaxing in the spa at Wyndham Resort Denarau Island – good thing it was a big one! The week’s holiday went very quick but it was amazing; it’s such a difference being on holidays with so many friends and family. We all had a great time. 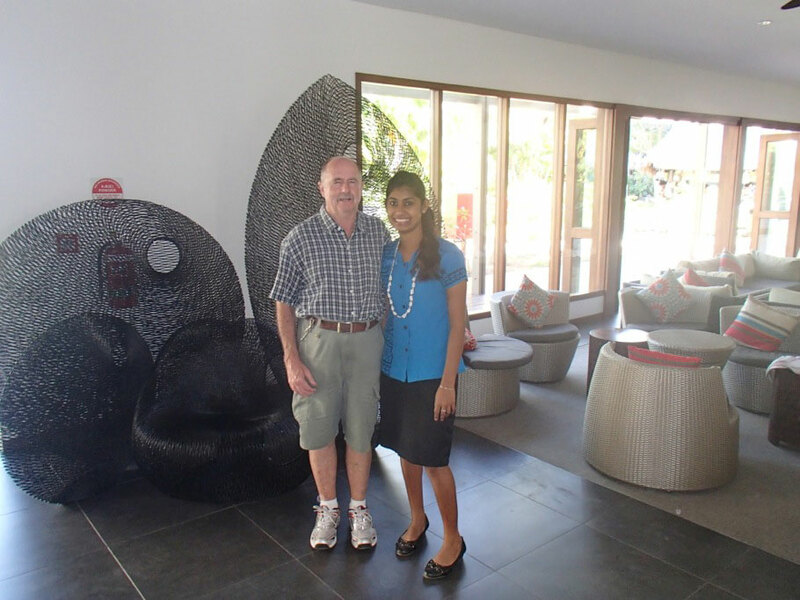 My dad was made to feel so special by the lovely resort staff – it was a holiday he will never forget! From the check-in of our 11 rooms to our departure, the staff were fantastic. Time to leave, Dad with one of the great staff members Shital. 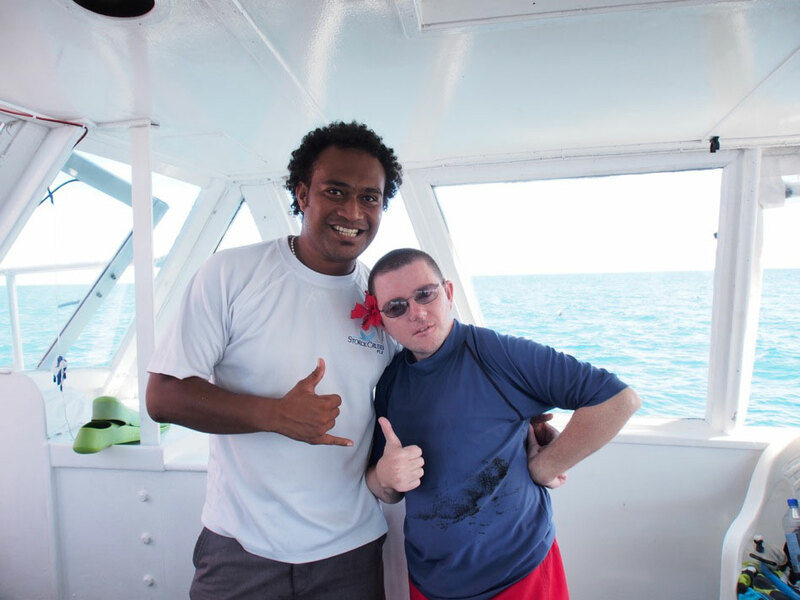 Dad was so impressed with his first trip to Fiji, of course he wants to go again! 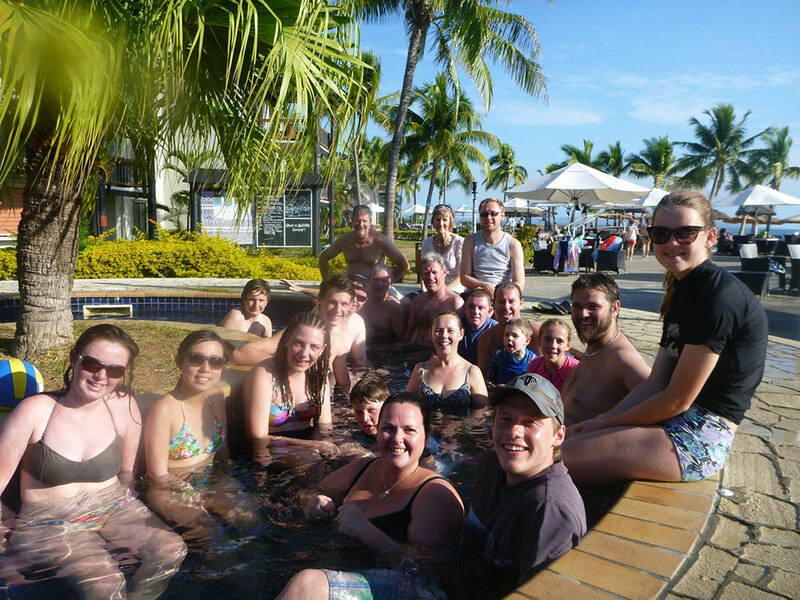 Without Wyndham, this surprise would not have been possible and we now have another 2 families that are Wyndham Owners as a result of the Fiji trip. This entry was posted in (Fiji) Denarau Island and tagged birthday, Denarau Island, family, Fiji, holiday, timeshare, travel, vacation ownership, WorldMark South Pacific Club by Wyndham, Wyndham Vacation Resorts Asia Pacific. Bookmark the permalink.